Think of what you expect the cabin of your next new car to offer. The 2017 Acura ILX likely includes all the features and functions on your list, plus a lot more you didn’t even realize you wanted. The cabin of this compact luxury car has been carefully designed and optimized to ensure that driver and passengers enjoy every mile of every trip. 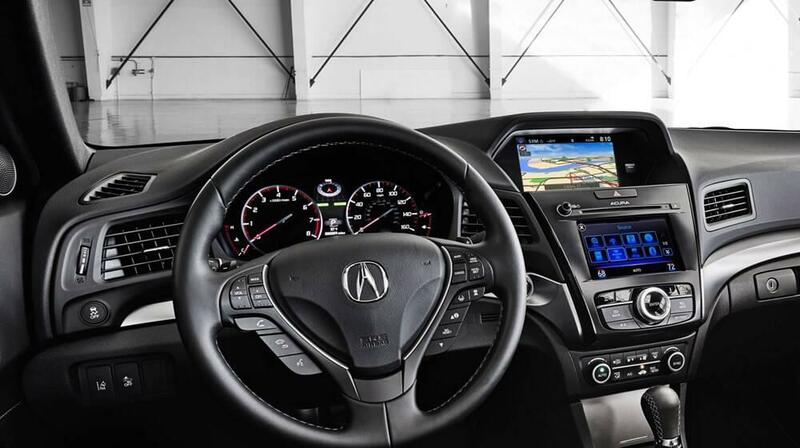 Learn about some of the most impressive elements, then tour the 2017 Acura ILX interior in person at Acura of Milford. This advanced cabin comfort system lets you set a precise temperature, then uses GPS to monitor the position of the car in relation to the outside weather and the location of the sun. Those variables are used to maintain the perfect temperature at all times. The front seats cradle and cushion the body so that the driver and passenger are not jarred or jolted when winding around curves. The seats are also upholstered in a supple luxury suede with a unique perforated design. Not only do these pedals give the 2017 ILX interior a unique design flourish, but they also give the driver greater control over the gas and brake to make sport driving more accessible. When the weather is cold in Stratford you simply need to flip a switch to have your body enveloped in cozy heat. Despite being one of the most affordable luxury cars on the market, this model comes standard with a number of impressive features. Drivers can take advantage of a sunroof when West Haven weather is nice, keyless entry and ignition to get going faster, and a five-inch display screen with backup camera. Plus, the six-speaker offers Pandora radio to vastly expand your audio options. Before you check out this car in person, make sure it’s the right Acura model for you. Then visit Acura of Milford where we have an extensive inventory and accessible financing options. If you have questions about this model or our dealership, please contact us at your convenience.